“CBD is medical. THC is recreational.” Project CBD receives many inquiries from around the world and oftentimes people say they are seeking “CBD, the medical part” of the plant, “not THC, the recreational part” that gets you high. Actually, THC, “The High Causer,” has awesome therapeutic properties. Scientists at the Scripps Research Center in San Diego reported that THC inhibits an enzyme implicated in the formation of beta-amyloid plaque, the hallmark of Alzheimer’s-related dementia. The federal government recognizes single-molecule THC (Marinol) as an anti-nausea compound and appetite booster, deeming it a Schedule III drug, a category reserved for medicinal substances with little abuse potential. But whole plant marijuana, the only natural source of THC, continues to be classified as a dangerous Schedule I drug with no medical value. “THC is the bad cannabinoid. CBD is the good cannabinoid.” The drug warrior’s strategic retreat: Give ground on CBD while continuing to demonize THC. Diehard marijuana prohibitionists are exploiting the good news about CBD to further stigmatize high-THC cannabis, casting tetrahydrocannabinol as the bad cannabinoid, whereas CBD is framed as the good cannabinoid. Why? Because CBD doesn’t make you high like THC does. Project CBD categorically rejects this moralistic, reefer madness dichotomy in favor of whole plant cannabis therapeutics. “CBD is most effective without THC.” THC and CBD are the power couple of cannabis compounds—they work best together. Scientific studies have established that CBD and THC interact synergistically to enhance each other’s therapeutic effects. British researchers have shown that CBD potentiates THC’s anti-inflammatory properties in an animal model of colitis. Scientists at the California Pacific Medical Center in San Francisco determined that a combination of CBD and THC has a more potent anti-tumoral effect than either compound alone when tested on brain cancer and breast cancer cell lines. And extensive clinical research has demonstrated that CBD combined with THC is more beneficial for neuropathic pain than either compound as a single molecule. “CBD is legal in all 50 states.” Purveyors of imported, CBD-infused hemp oil claim it’s legal to market their wares anywhere in the United States as long as the oil contains less than 0.3 percent THC. Actually, it’s not so simple. Federal law prohibits U.S. farmers from growing hemp as a commercial crop, but the sale of imported, low-THC, industrial hemp products is permitted in the United States as long as these products are derived from the seed or stalk of the plant, not from the leaves and flowers. Here’s the catch: Cannabidiol can’t be pressed or extracted from hempseed. 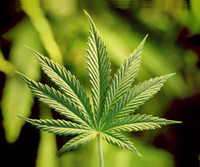 CBD can be extracted from the flower, leaves, and, only to a very minor extent, from the stalk of the hemp plant. Hemp oil start-ups lack credibility when they say their CBD comes from hempseed and stalk. Congress may soon vote to exempt industrial hemp and CBD from the definition of marijuana under the Controlled Substances Act. Such legislation would not be necessary if CBD derived from foreign-grown hemp was already legal throughout the United States. “’CBD-only’ laws adequately serve the patient population.” Fifteen U.S. state legislatures have passed “CBD only” (or, more accurately, “low THC”) laws, and other states are poised to follow suit. Some states restrict the sources of CBD-rich products and specify the diseases for which CBD can be accessed; others do not. Ostensibly these laws allow the use of CBD-infused oil derived from hemp or cannabis that measures less than 0.3 percent THC. But a CBD-rich remedy with little THC doesn’t work for everyone. 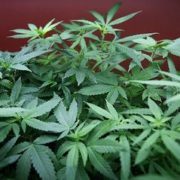 Parents of epileptic children have found that adding some THC (or THCA, the raw unheated version of THC) helps with seizure control in many instances. For some epileptics, THC-dominant strains are more effective than CBD-rich products. The vast majority of patients are not well served by CBD-only laws. They need access to a broad spectrum of whole plant cannabis remedies, not just the low THC medicine. One size doesn’t fit all with respect to cannabis therapeutics, and neither does one compound or one product or one strain. “CBD is CBD—It doesn’t matter where it comes from.” Yes it does matter. 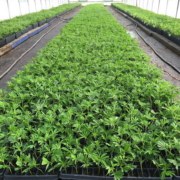 The flower-tops and leaves of some industrial hemp strains may be a viable source of CBD (legal issues notwithstanding), but hemp is by no means an optimal source of cannabidiol. Industrial hemp typically contains far less cannabidiol than CBD-rich cannabis. Huge amounts of industrial hemp are required to extract a small amount of CBD, thereby raising the risk of toxic contaminants because hemp is a “bio-accumulator” that draws heavy metals from the soil. Single-molecule CBD synthesized in a lab or extracted and refined from industrial hemp lacks critical medicinal terpenes and secondary cannabinoids found in cannabis strains. These compounds interact with CBD and THC to enhance their therapeutic benefits.